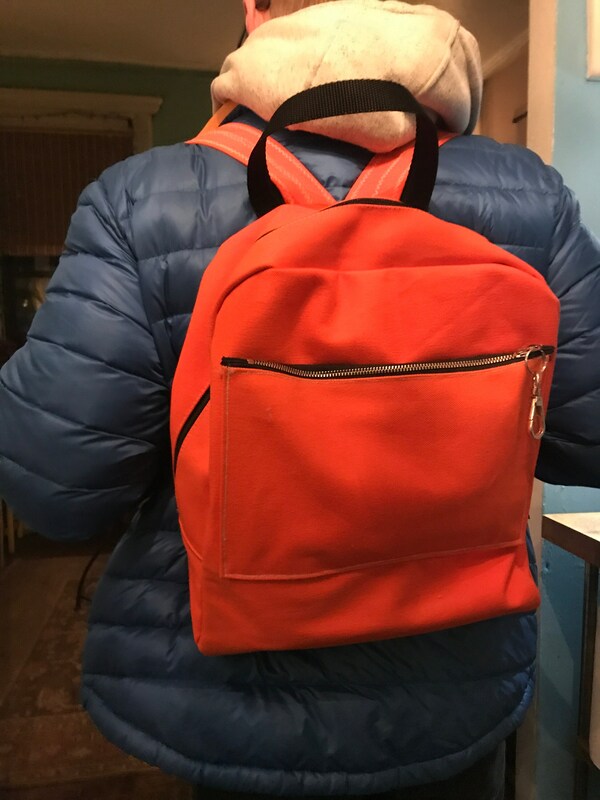 Orange is the new back.........pack. 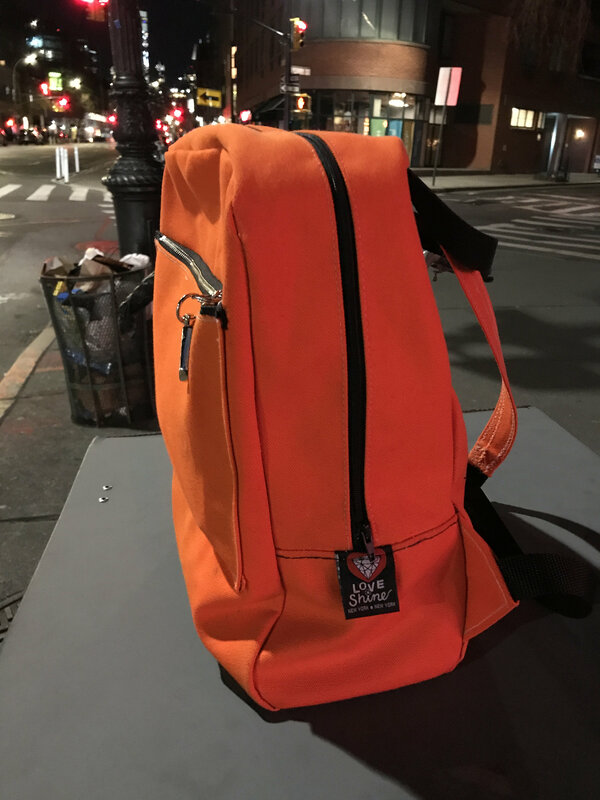 This bright orange canvas knapsack features one interior pocket and large exterior zippered pocket and comfortable adjustable canvas straps. 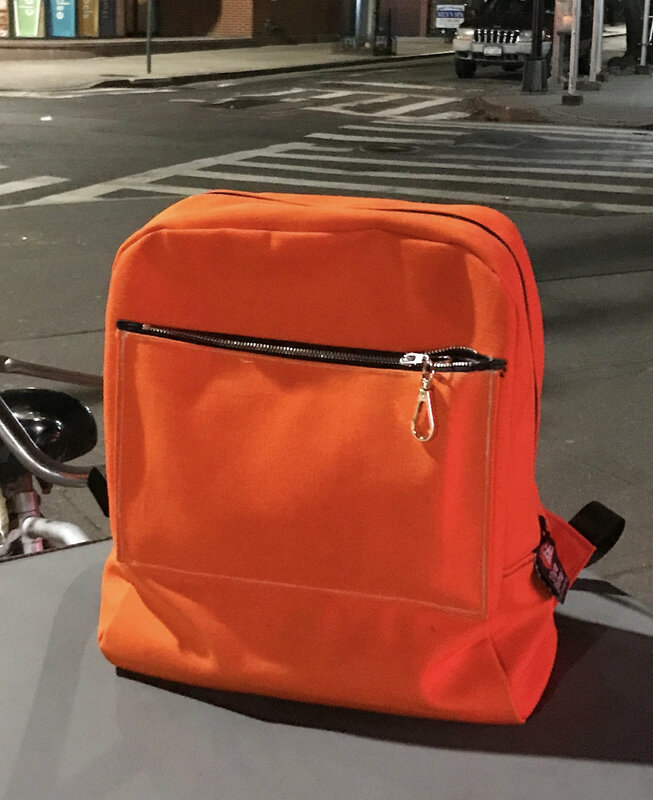 A great lightweight bag that is sturdy and has a large capacity. 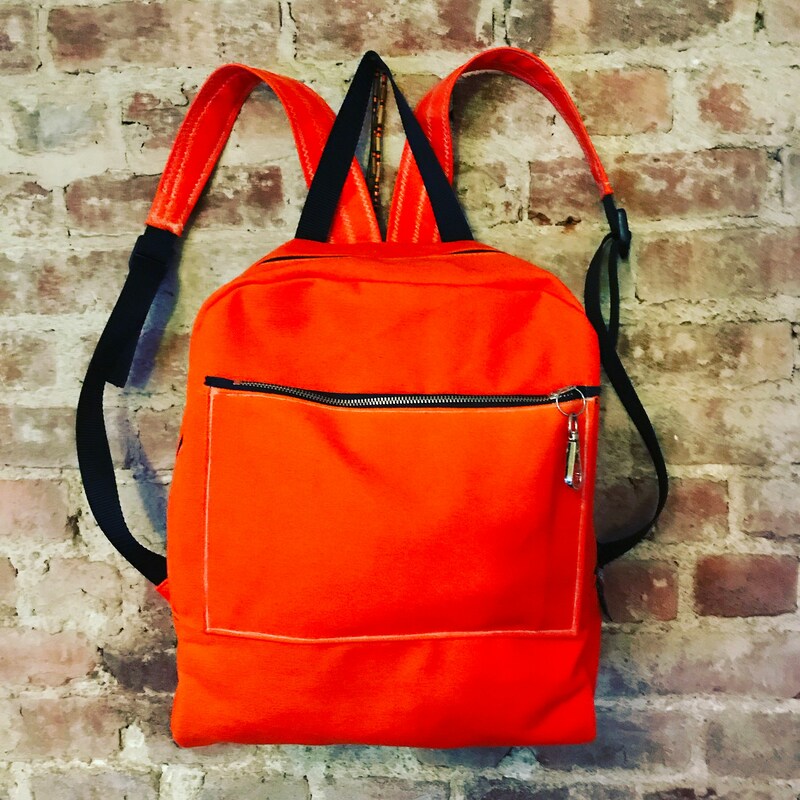 This style is also available in black or blue canvas upon request.